Giants Software is determined to make Farming Simulator 19 the Biggest, Most Immersive and Expansive game in the series. 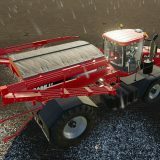 We already knew that Farming Simulator 2019 was going to be a massive game with 3 maps and revamped visuals that make the game look more stunning than ever before which is something anyone hoping to make or use Farming Simulator 19 mods can greatly appreciate. 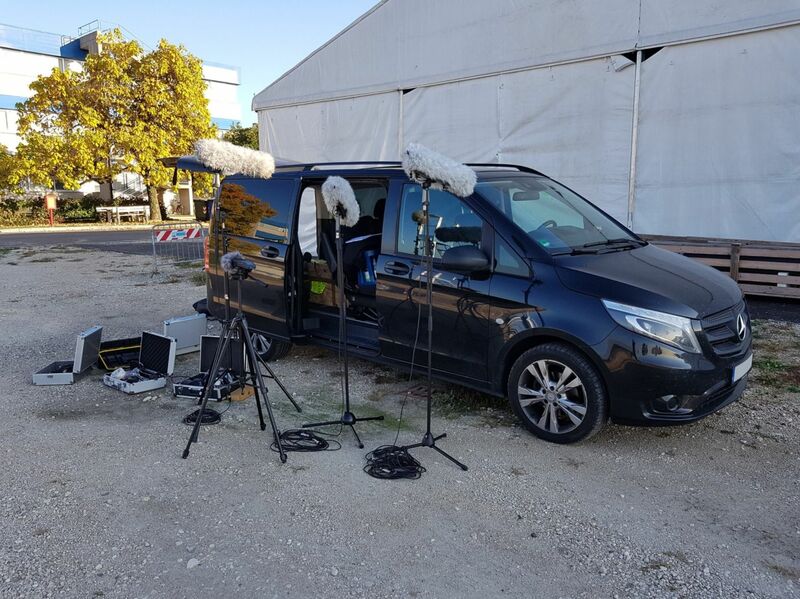 But what we didn’t know was that Giants Software isn’t just kicking the visuals up a notch but also the sounds! 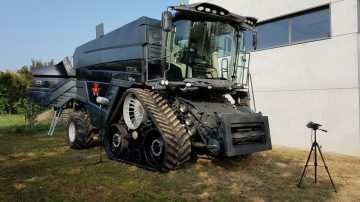 We already know that the Farming Simulator 19 is going to feature a whole load of new vehicles that we’re going to look almost identical to their real life counterparts. What we didn’t expect was for them to sound the same as well! The developers aren’t just designing the vehicles to look the same but to sound the same as well. 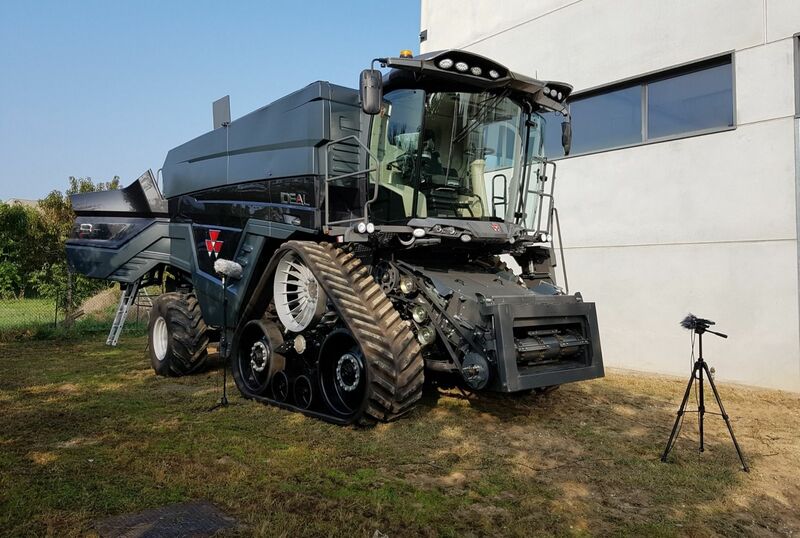 When the developers announced that the game will feature one of the most well-known tractors in the game the, AGCO IDEAL, they also announced that their sound team will make sure that it sounds just like the real thing and even went as far as to share a picture of them in action! This just goes to show just how determined the team is to make a Farming Simulator game that they can be proud of and fans can enjoy. In an industry where the biggest studios prioritize getting the bare minimum work done for the maximum profit, having studios like Giants Software putting the extra work to make a game truly immersive and unique is something all of us can appreciate. 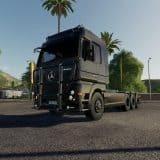 Couple the revamped visuals and authentic sounds for vehicles together and the game opens up so many options for Farming Simulator 2019 mods. If Giants Software manage to keep such high quality consistent, this has all the potential be a game in which we can easily spend countless hours. From the images above, it’s easy to tell that Giants Software has upped the production quality for Farming Simulator a lot more than ever before. 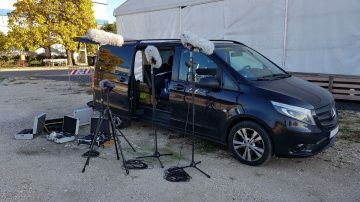 The fact that there’s a whole separate professional sound team working on the sounds and voices, it’s safe to assume the other vehicles and maybe the entire cast of character will get the same treatment as the AGCO IDEAL making the whole game much more immersive an opening up more possibilities Farming Simulator 19 mods. When it comes to simulator games the thing that matters most is immersion and looks like Farming Simulator 19 has it figured out. From the way the sun shines to the way the engines sound, Farming Simulator 19 is shaping up to be one of the best simulator games which is going to make Farming Simulator 2019 mods all the more enjoyable.